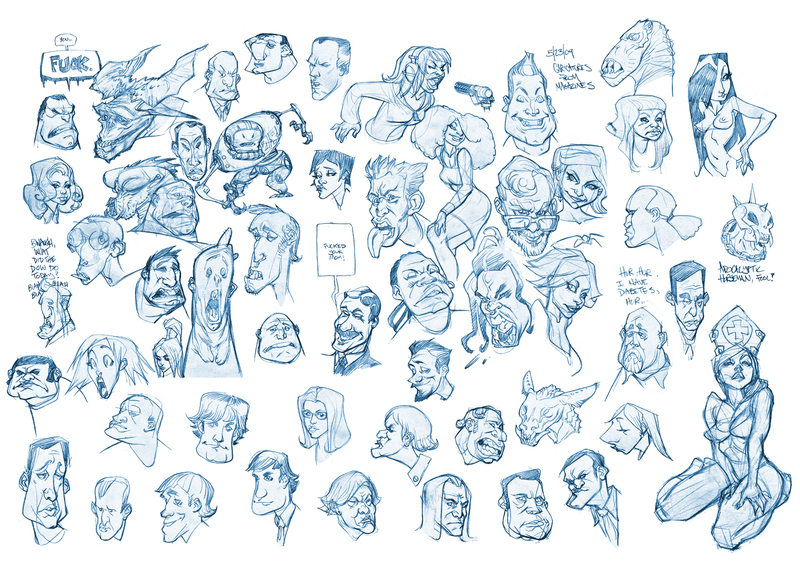 When I'm idle I draw heads. Sometimes I have a magazine open at Barnes & Noble. Sometimes I'm watching TV with a clipboard on my lap and a kitten clamboring up one leg. Here's last week's "idle" output comped onto a big ol' sheet. It's nice to do something when you're doing nothing. I should start saving my doodles. When you put it like that, they all sorta add up over time.